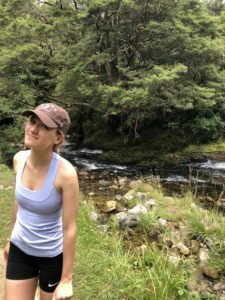 Isabel is a rising third year student at Brown University where she is pursuing an undergraduate degree in Literary Arts and Anthropology. Isabel’s extracurricular interests on campus take the shape of theatrical exploits, satire writing, and peer mentoring. Isabel is on the board of Brown University’s only student-run theater, Production Workshop, where she works to share art and new perspectives with the Brown community. Isabel is in constant pursuit of storytelling which she explores through playwriting, performing, and engaging with ancient cultures. This summer Isabel will return for her third summer as a staff member, during which she hopes to continue learning about new expressions of art and storytelling.